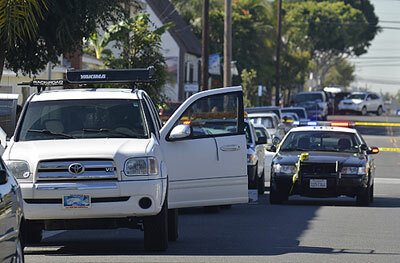 Suspect in Seal Beach Shooting: a Tea Party Supporter? Seal Beach shooting suspect in custody Scott DeKraai. Eight people were killed and one critically wounded Wednesday afternoon when a heavily armed gunman wearing body armor opened fire at the Salon Meritage in Seal Beach, police said. Shortly after the shootings, a white male suspect—who had weapons strewn across the floorboard of his white truck and guns strapped to his body—was arrested without incident half a mile from the scene, police and witnesses said. The alleged gunman was the ex-husband of a salon employee named Michelle, according to the husband of another employee who survived the shooting unharmed after locking herself inside a back room. Another source identified the suspect as Scott DeKraai of Long Beach, who worked in sportfishing. The Federal Election Commission reveals that Mr. DeKraai contributed $300 to a group called Stop This Insanity, Inc. on August 9, 2010. 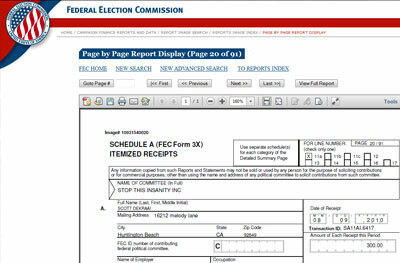 The FEC filing or itemized receipt is viewable here. More on this Tea Party group below. 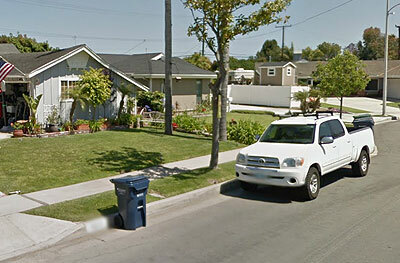 Using this same address on this public filing we find a late model white 4-door Toyota pick-up truck parked in front of the suspect’s home in Huntington Beach, California. Suspect vehicle using FEC address and located on Google Maps. We find the same vehicle on several news site today reporting from the scene of today’s massacre including this one from the LA Times and the one shown below. Suspect vehicle in Seal Beach shooting massacre. 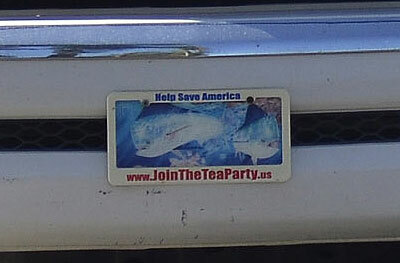 Suspect vehicle with Tea Party license plate frame. theteaparty.net is a division of Stop This Insanity Inc. and is a national non-profit 501 (c)(4) organization created in 2009 for the education and advancement of the constitutional conservative values of the Tea Party movement. This organization was created to help give the power of government back to the people. We believe, like many of you, that our government has grown out-of-control in a death spiral of unsustainable and barely imaginable trillion-dollar deficits and a national debt rivaling Gross Domestic Product. This government has ignored the Constitution that defines us; invaded the liberty from which our nation was born; and daily drains away the individuality and entrepreneurial spirit of Americans in order to advance a radical, socialist policy built on the back of American taxpayers. We—like many of you—decided to stand up and do something about it. It appears as though Mr. DeKraai was seriously injured in a tug boat accident back in 2007. There is a possibility that amongst many other contributing factors that he may have been suffering from PTSD.